The Inca tern is a seabird in the family Sternidae. It is the only member of the genus Larosterna. This uniquely plumaged bird breeds on the coasts of Peru and Chile and is restricted to the Humboldt current. It can be identified by its dark grey body, white moustache on both sides of its head and red-orange beak and feet. 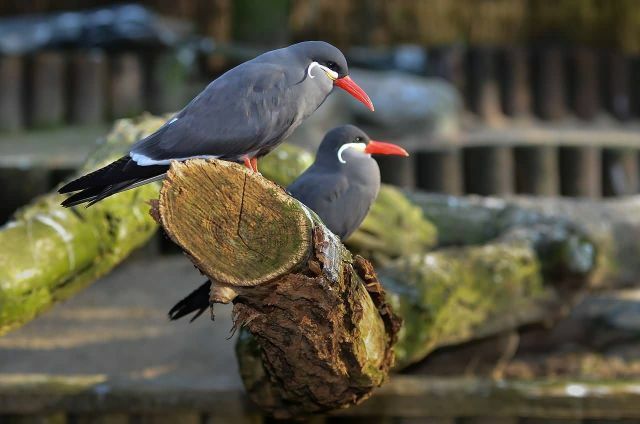 The Inca tern is a large tern, approximately 40 cm long. The Inca tern feeds primarily on small fish, such as anchovies.